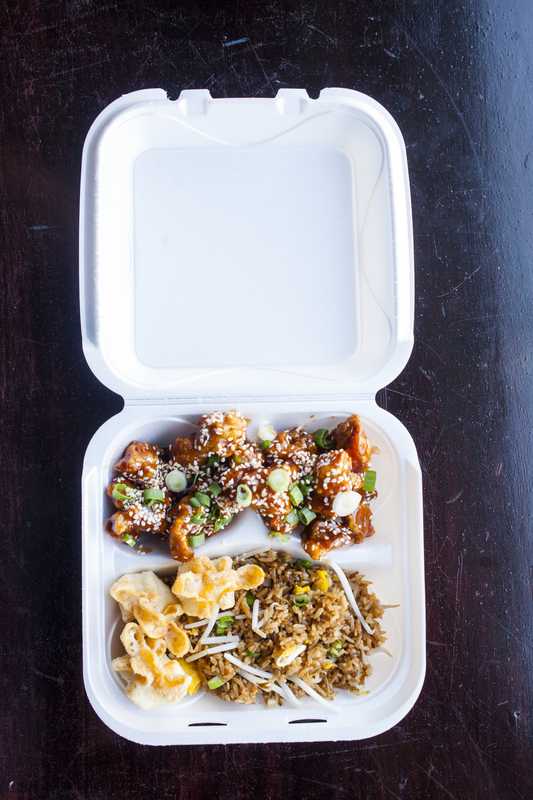 Located in Minneapolis' Kingfield neighborhood, Dragon Wok is the first-of-its-kind, premium Asian food delivery. We're a small team with big hearts and bigger appetites for fresh food. Inspired by authentic dishes and modern dietary needs, we’re cooking up a new take on Asian cuisine. When we say fresh, we mean it. All of our meats and vegetables are bought daily from local markets and grocery shops, and cooked to order when you call. Stop in for a truly unique experience with us. Across our menu, you’ll find tasty, traditional flavors made with transparent and wholesome ingredients. Swing by the store for pick-up, call for delivery or dine in at the bar seating near the window. Made fresh. Made fast. Made with love. All of our dishes and homemade sauces start with the freshest ingredients. Our vegetables are bought every morning, never in bulk, so you get the most delicious flavors at the height of ripeness. Unlike many Asian restaurants, our sauces are homemade. Using a blend of traditional Chinese and Cambodian curries and seasonings, we create an authentic taste, while still offering some familiar flavors. By stir frying the sauces for just the right amount of time, we bring out the most delicious taste and textures. We promise. You'll see that we use just enough sauce to coat the dish without losing the crispness, and, we’re precise in our measurements, so you’re never overwhelmed by salt. (We never use MSG, ever.) We can even accommodate different dietary restrictions. Always worth the wait. Quick mention too. Here at Dragon Wok we like it S-P-I-C-Y! In all of our dishes, we use traditional spice levels. Every order is made fresh though, so please let us know your level of spice tolerance! *Please note: After 4p.m. we only serve large entrees (dinner portions). Pillowy, sugary fried dough balls. Cambodian style Big crispy egg rolls stuffed with carrots, cabbage, onions, pork and clear noodles. Fried to perfection, and served with our traditional egg roll fish sauce. Short crispy egg rolls stuffed with carrots, cabbage, onions, and clear noodles. Served with sweet and sour sauce. Sweet cream cheese filling, wrapped in a thin crispy wonton skin, deep fried until golden brown. Served with sweet and sour sauce. Pork and cabbage dumplings in a wonton wrapper. 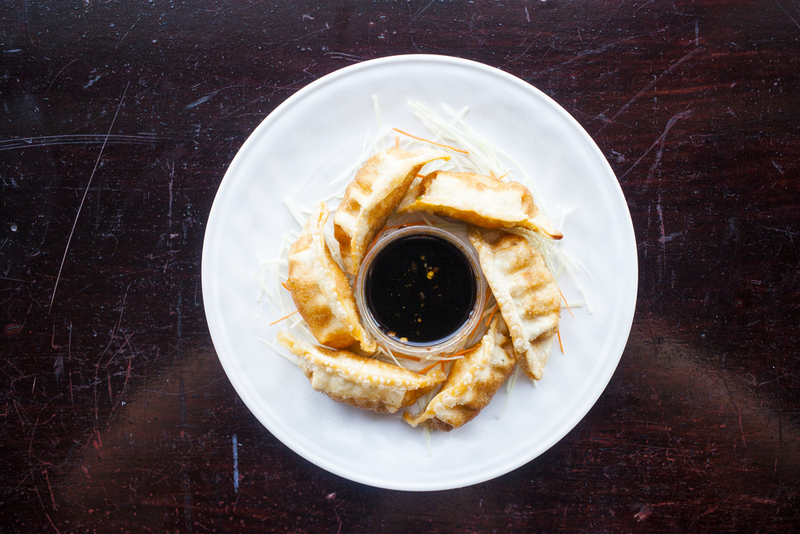 Your choice of fried or steamed, and served with our homemade soy dipping sauce. Crispy deep fried battered chicken wings wok tossed in our special five-spice seasoning. Breaded chicken wings tossed in a sweet and spicy sesame sauce topped with toasted sesame seeds. Breaded chicken wings tossed in a chili pepper-infused sweet and sour sauce with white onions. Pork, shrimp, cucumber, bean sprouts, carrots, lettuce, mint, and vermicelli noodles wrapped inside a thin rice spring roll wrapper. Vegetable option also available. Served with hoisin dipping sauce. Hearty spicy and sour soup with mushrooms, bamboo shoots, chicken broth, tofu, chili oil, and a beaten egg. Traditional Cambodian dish. Potatoes, carrots, onions, and chicken in a delicate red curry paste, slow cooked and served with rice noodles and fresh vegetables. Two large fried egg patties with a mixture of diced carrots, onions, cabbage, peapods, and bean sprouts with a rich brown gravy. Your choice of protein. Two large egg patties with a mixture of diced carrots, onions, cabbage, peapods, and bean sprouts with a rich brown gravy. Your choice of protein. Two large egg patties with a mixture of diced carrots, onions, cabbage, peapods, and bean sprouts with a rich brown gravy. All the proteins including: chicken, pork, beef, and shrimp. Fried rice with egg, bean sprouts and onions, and your choice of protein. Our house fried rice with egg, bean sprouts and onions, as well as all of the proteins, including: chicken, pork, beef and shrimp. Meat lovers, this is for you. Slices of protein of your choice stir fried with skinny egg noodles, shredded cabbage, carrots, peapods, and onions. A combination of chicken, pork, beef and shrimp with skinny egg noodles, shredded cabbage, carrots, peapods and onions. Meat lovers, this is for you. Stir-fried rice noodles with white and green onions, bean sprouts, carrots, rice noodles, and your choice of protein. Cooked in a sweet, savory, and sour sauce and topped with peanuts and a lime. Cold salad with vermicelli noodles topped with lettuce, carrots, bean sprouts, cucumbers, cilantro, beef and an egg roll. Served with traditional fish sauce. Stir fried wide rice noodles with green onions, bean sprouts and your choice of protein in our house dark brown sauce. White chicken breast tossed in a sweet and spicy sesame sauce and topped with toasted sesame seeds. Breaded chicken breast tossed with a tangy spicy orange sauce. Breaded chicken breast tossed with a sweet, spicy, and tangy sauce. Traditional spicy stir-fry with your choice of protein, celery, peapods, carrots, and green pepper, finished with roasted peanuts in a spicy Szechuan sauce. Spicy stir-fry with your choice of protein, peapods, white onions, and green onions in a thin spicy oyster sauce. Onion lovers, this is for you! A classic favorite made with fresh broccoli, carrots, onions, and water chestnuts, stir-fried with your choice of protein in our house garlic dark sauce. Fresh sautéed mushrooms and carrots, wok-fried in a special buttery brown sauce. Fresh peapods, onions, carrots, and water chestnuts with your choice of protein, stir fried in our favorite house dark sauce. 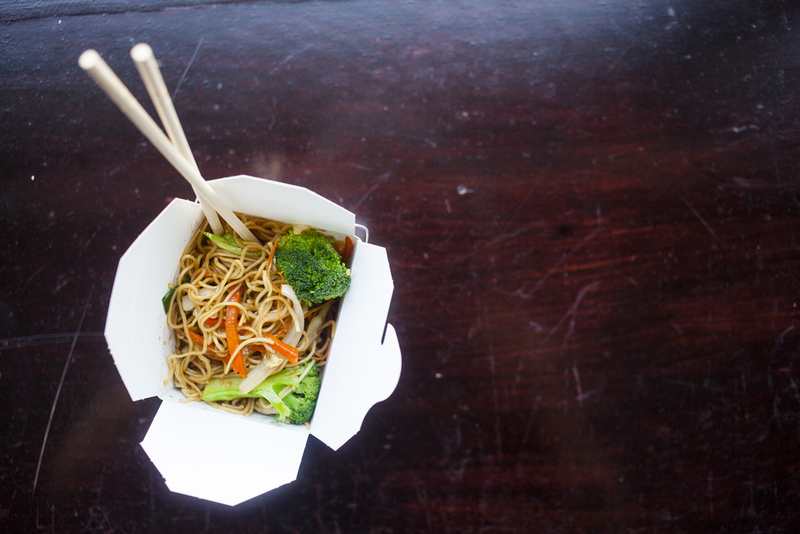 Fresh broccoli, onions, carrots, peapods, baby-corn, and water chestnuts, stir fried with your choice of protein in our special house dark sauce. Our homemade red curry stir fried with fresh peapods, white onions, broccoli and carrots with a kick of spice. Traditional Cambodian dish. A delicate dish made with beef, lemongrass, bell peppers, and onions, in a spicy lemongrass coconut curry paste. Traditional Cambodian dish. Slices of beef, pineapple, tomatoes, and green onions all wok-tossed in our thin savory peppery sauce. Bell peppers, celery, peapods and water chestnut stir fried with fresh shrimp and roasted cashews in a buttery sauce. Add some spice for a little kick! Sliced beef steak stir fried with bell peppers and white onions in a peppery savory sauce. Fresj broccoli, peapods, carrots, and onions stir fried with fresh ginger slices in our house white sauce. *Our Favorite! Filling meal for 1 , comes with fried rice and your choice of 3 cream cheese wontons or one egg roll (pork or vegetable). Fresh white meat chicken or crisp veggies. Awesome value! You're hungry, but not for long! Our menu is above. Give it a scan, and give us a ring (or swing by the shop) to place your order. (It's easy, we promise.) Pick-up, delivery or dine-in, your choice. *We accept all major credit cards including: Visa, Mastercard and American Express.